When I first moved to Copenhagen I didn't know anything. I knew no one there, I didn't know the language, I didn't even know what a kroner was. After slugging it out with the tourists on the grill of the Hard Rock Cafe for a while, I landed my first job in a Danish restaurant called Nyhavn Færgekro in the old harbour district. Nyhavn Færgekro serves traditional smørrebrød (open faced sandwiches) and a herring buffet at lunch. My first day I spoke to the sous-chef and found out he had given his notice and only had three shifts left. He wasn't very cheerful as he went about showing me some of the dishes they offered. Hønsesalat, fiskefrikadeller, Leverpostej, and a bunch of other things I couldn't pronounce. Three days latter he was gone. Three days after that the head chef walked in, grabbed his stuff and quit. I was on my own. The only kitchen staff besides me was a dish washer and a Swedish smørrebrødsjomfru named Agneta, who only knew how to make the smørrebrød and spoke little English. There was a recipe book I tried to get the Danish waitresses to translate, but most of the recipes were in Swedish! It was a struggle. 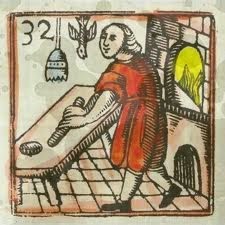 Eventually I found my footing, new cooks were hired, and things got better. Every morning I made the pates, sauces, and prepared the herring buffet. I ate a lot of herring and my favourite type was called "Skagen Sild" a mixture of marinated herring, apples, shallots, sour cream, and dill. 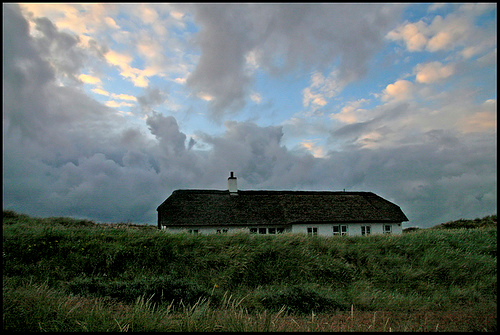 Skagen is a romantically stark area of Jutland, famous for it small fishing villages, and mossy thatched roof cottages. 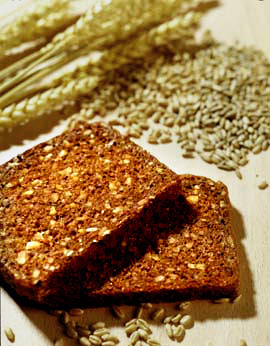 Sild is always served with rugbrød, a dark, molasses enriched rye bread. 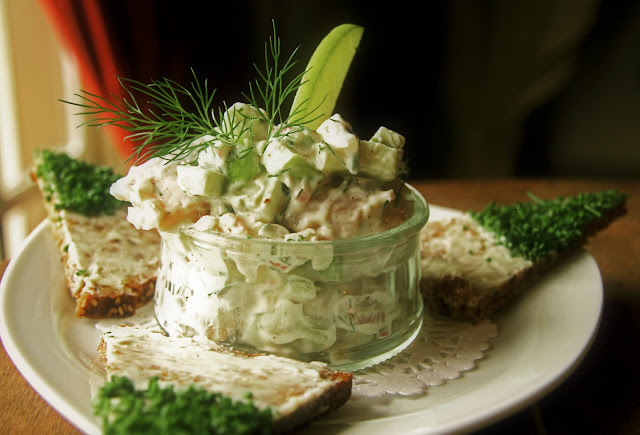 The bread is very low in fat and sugar and pairs perfectly with the sweet and oily pickled herring. I'm lucky enough to live in the Polish area of Toronto, and many of the delis have several types of herring, and a small selection of breads that are similar to rugbrød. 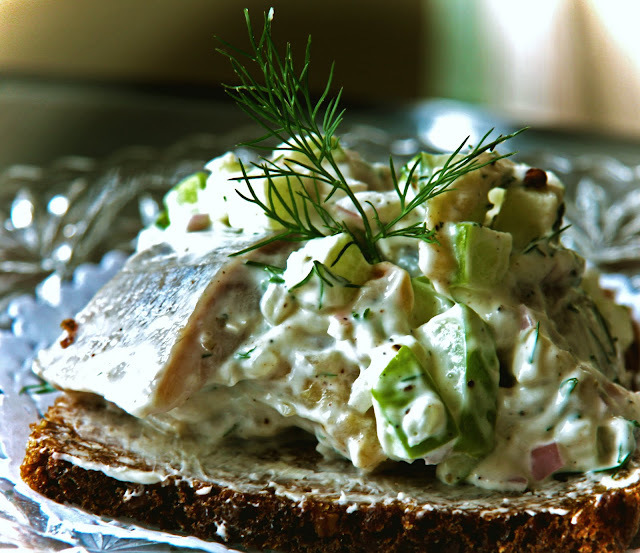 Strubs pickled herring, and Dimpflmeier's flaxseed rye can be bought at supermarkets, and make a good substitute, but it's worth seeing if there's a Danish bakery in your area. I know Hansen's Danish Pastry Shop on Pape ave in Toronto carries Gylngøre Herring. Once you source the products the recipe is easy. 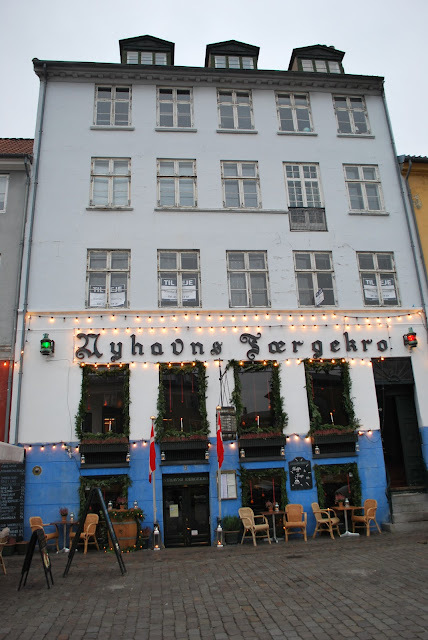 I worked at Nyhavn Færgekro for about two months and things were going well until February 27, 2001. I had a wine tasting menu for 50 people that night. We had four courses we were preparing, and when the event coordinators arrived, we were instructed to plate the salad course and have it on the tables waiting, as the bus of Swedish guests was only a few minutes away. Agneta and I continued to finish the next cold course and I waited for waiters to pickup. 40 minutes went by without anyone coming back to the kitchen (which was down a long hallway from the dining room). I walked out towards the front of the restaurant and met a waitress crying. I asked what was going on, and she shouted "The dinner is cancelled! The dinner is cancelled!" and ran away. I follow her into the dining room and found the police, manager and event coordinators talking with worried looks on their faces. I still couldn't understand Danish but eventually discovered what happened. The bus driver didn't realise the Knippelsbro bridge near our restaurant had a low clearance, and drove under it ripping off the top of the bus like a tin can. 30 guests were severely injured and eventually 5 died. It was a terrible night. Two weeks latter I was transferred to Bøf and Ost, another restaurant run by the same owners. Is the picture of the sild in the glass jar the way you served it at the restaurant, or a pretty embellishment you came up with? It looks so good! We had 10 or 11 different styles of sild on the buffet In larger glass bowls. The chive triangles were on a platter to help yourself to. I would serve it like the picture for a small julefrokost with another couple of little jars with karrysild and kryddersild. I have just made, served and consumed this dish. It was very good, beyond my expectations. It allowed me to take my humble herring catch and cure to the next level. Thank you for posting it.